With its unmatched multi-user architecture, the JDSU Signaling Analyzer Real Time (SART) continues to raise the bar for long-term evolution (LTE) network testing. As these networks evolve from trials to operation, increasing revenue is at stake. SART solutions are essential tools for benchmarking performance, troubleshooting network issues, and identifying root causes of issues. No other vendor can provide true, distributed multi-site testing in real time for reliable end-to-end performance measurements and network-wide investigations. As a result, tasks that previously took 6 hours using solutions from multiple vendors now take 15 minutes with the unique SART offering from JDSU. • ensure complete, accurate analysis with the industry’s most reliable high-speed data capture. • accelerate time to market for new wireless technologies with the most current mobile standards support available. • gain clear visibility into the end-user experience and network performance using flexible, real-time key performance indicator (KPI) dashboards and trend analysis that easily integrate into automated, scheduled test environments. • view the complete LTE picture with advanced analysis capabilities that correlate both user- and control-plane data. 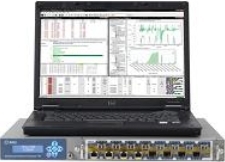 • optimize eNodeB performance with real-time air interface tracing and enhanced KPI measurements. Rapidly increasing numbers and diversity of LTE devices makes qualification essential. Today, SART can correlate data in real time from multiple Universal Mobile Telecommunications System (UMTS) air-interface data sources, making it an ideal solution for performance optimization/engineering and automated handset/device verification. JDSU makes your investment in LTE a success with a complete suite of solutions that support the entire life cycle, from lab and deployment to launch and operation.